Andie Gonzalez, a dietitian with H-E-B, is seen in the produce department Monday March, 5, 2018, in McAllen. Gonzalez counsels others on food and nutrition. When registered dietitian Andie Gonzalez relocated her family to Texas four years ago to work for H-E-B, the move was for more than a job. Abraham Moreno, an administrative assistant with the supermarket chain, nominated Gonzalez for consideration in the Monitor’s Women We Love series. Moreno said he met her on her first day with the company. Moreno was participating in H-E-B’s weight-loss competition, Slimdown Showdown, and Gonzalez provided the nutrition component of the interdisciplinary support the contestants received. While Gonzalez has additional help now, she was the only H-E-B dietitian in the border area for three years, Moreno said. He describes her as someone that goes above and beyond, and said other partners refer their family and friends to her. “She’s basically changed our area in regards to health and wellness,” he said. Gonzalez works to educate customers, employees and patients about making healthier choices. 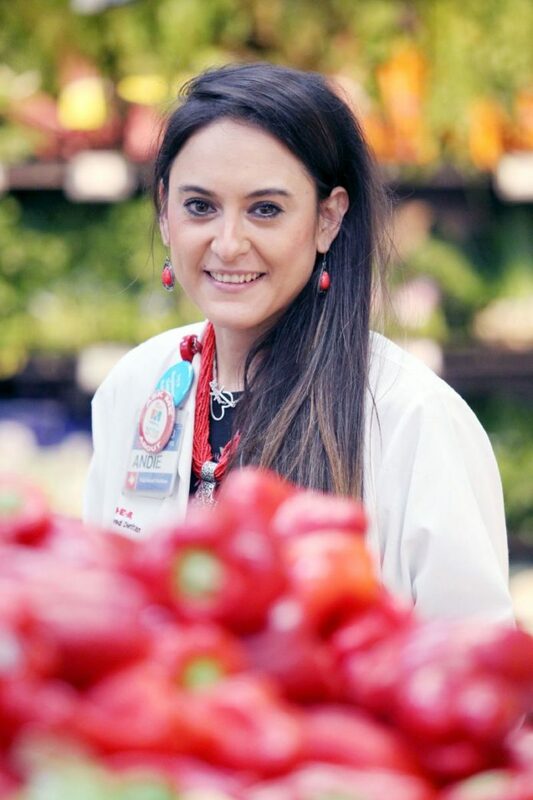 Recently, she’s switched from a border-region dietitian to a medical sales representative for nutritional services for H-E-B under the pharmacy department. “She’s got a great passion and drive for the work she does,” Bates said. When Gonzalez started, the focus was on the Lower Valley. It’s since spread west, and Bates sees Gonzalez as essential to the program’s continued expansion. Gonzalez said the most rewarding part of her job is when patients apply the knowledge she shares and improve their diets. “Being able to leave that health and wellness footprint is impactful for me personally,” she said. “We’re servants first.